Here’s a little reading to get your weekend started. 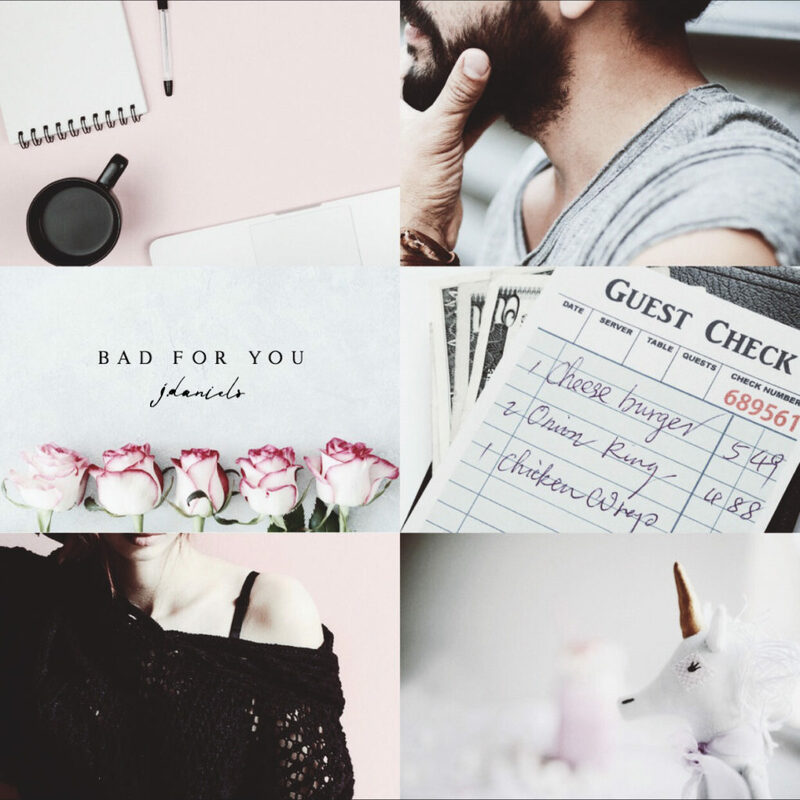 Enjoy (most of) chapter one from Bad for You! Any Bama Boys fans out there? This Halloween-themed novella is LIVE, and today is the day to read it! So Much More, featuring POVs from all 4 Bama Boys, offers you some tricks and MORE than a few treats. Need an example? Keep reading for an excerpt from Mr. Kink himself, Reed Tennyson. 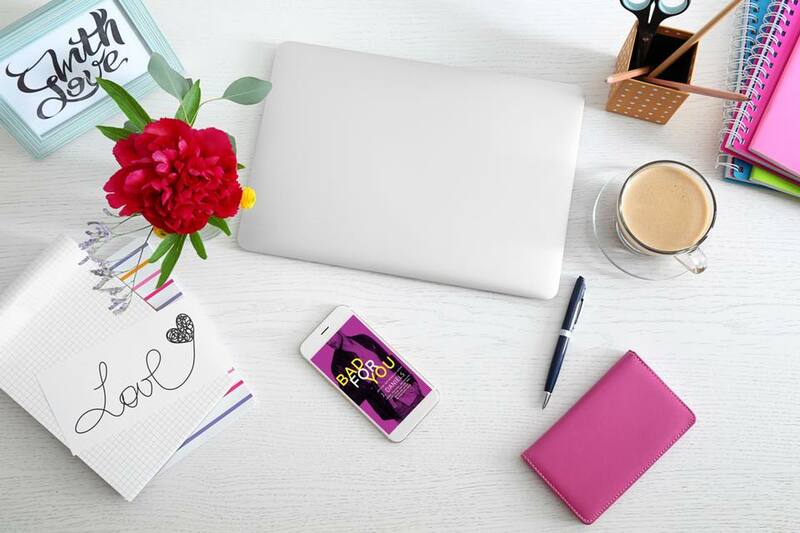 Add Eye Candy to your TBR! Stepping up onto the porch, I balanced the pizza boxes on my forearm so I could knock on the door. I could hear drilling, which stopped the second time I knocked after my first went unnoticed. Then a few seconds later, the door swung open. Sean stood there wearing his faded jeans and nothing else. I’m going to repeat that for emphasis—Sean stood there wearing his faded jeans and nothing else. His hair was tied back. He was barefoot. His chest was on display. His hip bones were jutting out nicely. He had fuzz running from his navel to below, and his skin had a light sheen of sweat to it, which was basically the equivalent to icing on a cupcake—the finishing touch that really set off the whole package. These factors, plus others, considering how low his jeans were hanging, had me scrambling to hold those pizza boxes with both hands, for fear I might drop them. I had never seen Sean without a shirt on before. I figured he had ink on other parts of his body, not just his arms, and he did. His chest was covered in tattoos, as were his shoulders and his ribs, colorful designs that looked to be random, but I was betting they weren’t. His abdominals were bare, which, even though I had a major thing for body ink, I was grateful for, considering what his abdominals looked like. Hell, what all of him looked like. Sean had a body like an Olympian. Like one of those track runners who still had the sculpted upper torso. He wasn’t bulky, but the muscles he did have were so finely cut with perfection, you’d think it was God himself who touched Sean after uttering the phrase Let there be light, plus gorgeous male physiques. Bad For You releases 1/23/18. Preorder now! 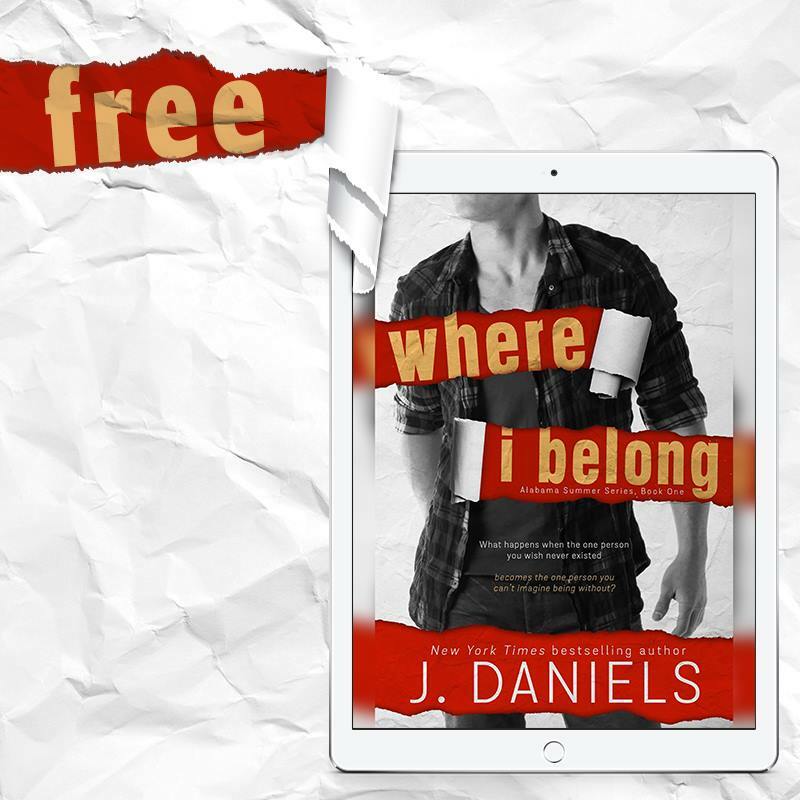 The first book in the Alabama Summer series is FREE! If you haven’t read this series yet, here is your chance to start! After weeks of anticipation, Eye Candy is now available everywhere, and I couldn’t be more excited, or more proud, to be a part of this fabulous Halloween-themed anthology. Seeing my name on the cover of a book with four fellow authors that I admire is frightfully good. My novella, So Much More, features the Bama Boys. That’s right! I had the BEST time catching up with the gang! Have a favorite? Nothing to fear here—I treat you to a little time with each. So, grab your copy, get comfy and feast on this delicious taste of Ruxton, Alabama… and so much more. We have a blurb, people!!! EEEEEK! Add Stitch to your TBR ➜ Click HERE. When I originally wrote WHEN I FALL, I got about 40k into it and completely scrapped the entire thing. I remember reading it and reading it and READING IT, and it just wasn’t Reed & Beth’s story to me. I liked the story, but it didn’t belong in Alabama. It didn’t feel like them. So, even though it stressed me the F out to do so, I put that 40k aside, and with all the anxiety in the world twisting me up about it, I started over. And then I wrote the WHEN I FALL that got published, which turned out to be my favorite story (so far) in that series. Hands down. I’m incredibly proud of that book. So listen, it’s OKAY to start over. It’s OKAY to listen to yourself and go in a completely different direction. And for God’s sake, it’s OKAY to push a release date because you need to make some adjustments, whether minor or major, like I did. I LOVE the cover for Bad For You, the third book in the Dirty Deeds series. This will be Stitch and Shay’s book, and let me tell you, it’s going to be a heartbreaker. Make sure you stock up on tissues! 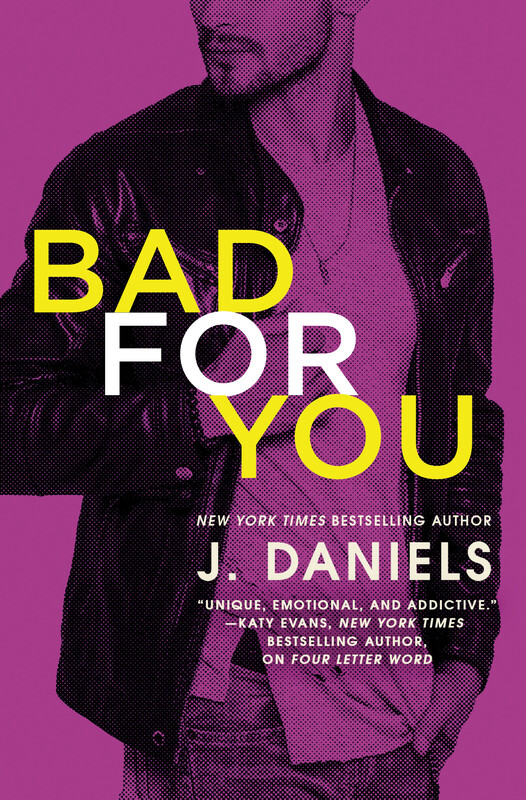 Bad For You will be releasing on January 23, 2018 through Forever Romance, and you can pre-order it NOW! ★ AMAZON ➜ Click HERE. ★ B&N ➜ Click HERE. ★ iBOOKS ➜ Click HERE. ★ KOBO ➜ Click HERE. ★ KOBO UK ➜ Click HERE. ★ Paperback ➜ Click HERE. Make sure you add Stitch to your TBR! He gets all broody when you don’t.